Mayo is preparing to upgrade to a new, cloud-based version of Microsoft Office products called Office 365. This upgrade will occur in phases over the next 12 to 18 months. Cloud-based services, as well as the documents created using those tools, are hosted by Microsoft via the internet rather than on Mayo servers. Security of cloud platforms has increased over the last year, and Office 365 now meets Mayo's security standards. Use any of your devices — smartphone, tablet or desktop computer — at any time to access documents created using the new Office Online. Use Microsoft Word, Excel and PowerPoint while on the go with a user interface optimized for Android and iOS phones and tablets. Store and share your files with ease. Searching email strings or thumb drives for the most current version of a document is a thing of the past. Stay up to date with the latest features that are pushed regularly from the cloud. When will Office 365 be available? 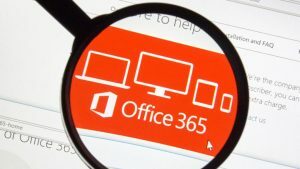 Planning for the transition to Office 365's full scope of services already is underway. Mayo and Microsoft are developing a transition plan based on the successful implementation of Office 365 across thousands of other organizations. The rollout will be phased and run through end of 2019. You'll receive specific information to help plan and prepare for the move when your work area is scheduled for the transition. Watch for more details about the transition to Office 365 in the Mayo Clinic News Center. Check for project updates and announcements on the Microsoft Office 365 project website. Ask questions or offer feedback about the Office 365 project via Yammer.